Searching for a day hike that's easy to get to and serves up an "off-the-beaten-path" appeal? Often overshadowed by the classic and well-traveled paths of the White Mountains, the hiking trails of southern New Hampshire are a great option for day hikers looking for quiet trails. 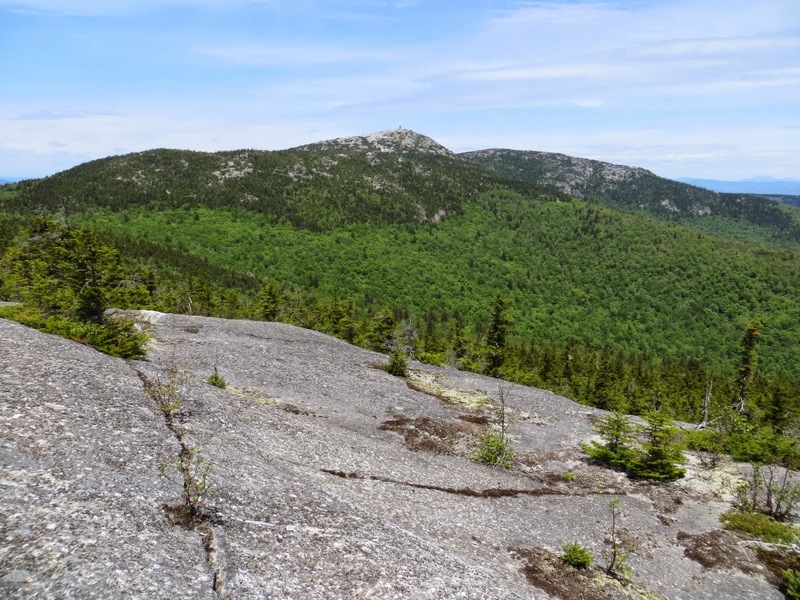 We asked Steve Smith, NH hiking expert and editor of AMC's fully revised Southern New Hampshire Trail Guide, 4th edition (featuring Mount Monadnock and Mount Cardigan), to share six of his favorite often overlooked hikes in southern NH. Happy hiking! Bald Rock and Monte Rosa [5-mile loop, 1,550 ft. vertical gain, 3:15 estimated hiking time]. An interesting loop with many views along less-used trails can be made over these two open spurs of Mt. Monadnock from the parking area on the south side; use Old Toll Rd., Parker Trail, Cliff Walk, Smith Connecting Link, Amphitheatre Trail, Smith Summit Trail, Monte Rosa Trail, White Arrow Trail, and Old Half Way House Trail. Pisgah Ridge Loop [9.5-mile loop, 1,450 ft., 5:30]. This loop leads through some of the finest scenery in Pisgah State Park, including four viewpoints on Pisgah Ridge and Baker and North Round ponds. From the Kilburn Rd. trailhead on NH 63, take Kilburn Rd., Kilburn Loop, a connecting path, the northern section of Pisgah Ridge Trail, Baker Pond Trail (with a side trip north to Baker Pond), Reservoir Trail, the spur to North Round Pond, and the southern section of Pisgah Ridge Trail, returning via the connecting path, Kilburn Loop, and Kilburn Rd. Orange Mountain [5.6-mile round trip, 1,600 ft., 3:35]. Good views are found atop this southern spur of Mt. Cardigan; starting at Cardigan Lodge, use Holt Trail, Holt-Clark Cutoff, Vistamont Trail, and Skyland Trail. South Uncanoonuc Mountain [2.2-mile loop, 750 ft., 1:30]. Make a partial loop visiting several viewpoints by using Incline, Walker, and Summit trails to the south viewpoint with a side trip to the west viewpoint; descend via Summit Trail. Klem and Mack Mountains [6.1-mile loop, 1,200 ft., 3:40]. This loop on East Gilford Fire Rd., Round Pond Trail, Round Pond-Piper Link, Mount Klem-Mount Mack Loop, and Round Pond-Mount Mack Trail takes in two summits with views and beautiful Round Pond. Extend the trip with a second loop over Belknap Mountain via Round Pond-Piper Link, Boulder Trail, and East Gilford Trail [8.3-mile loop, 2,200 ft., 5:15]. Sweet Trail [4.6 miles one-way, 100 ft., 2:20]. This trail in Durham and Newmarket provides an extended woods walk passing by many interesting wetlands and ending at the edge of Great Bay. A one-way traverse can be made with a relatively easy car spot. Shorter out-and-back trips can be made from three different trailheads. Steve Smith has been a hiking enthusiast for over 30 years. He has written several guidebooks for the White Mountains region, and served as coeditor of the 27th, 28th, and 29th editions of AMC’s White Mountain Guide and the 2nd, 3rd, and 4th editions of AMC's Southern New Hampshire Trail Guide (now available in AMC's online store with 20% member discount).